Amir Harris a sneaky stat-sheet guy. Three boards, two assists, one steal, 13 turnover-free minutes. ShotTracker hates him. My TV hates ShotTracker, so it’s a wash. Shot Tracker- Good for coaches. Shot Tracker- Bad for TV viewers. Interesting that the attendendance line is left blank. There was probably 5000 people there max. Come to KC everybody!!! I even saw some dude there wearing a Creighton shirt, no lie. We need Huskers to represent and show what Husker Power really means! On the bright side Texas tech probably can’t play any better then they did in the second half. Went like 16-19 from the field. Owens is gonna give us fits, wish we coulda realed him in as a grad transfer. This is is a better test than USC woulda been, they are talented but we woulda rolled them they don’t lock in on defense and settle a lot on offense. I may be blackout drunk by then. Are you providing an uber lol? Plenty of really nice hotels in downtown KC. I came to this realization too last night! Tech it is, winners over USC by 15. They were down at half by 9 and came storming back in the 2nd half. This is who I wanted us to play. Not overwhelming length, which has given us troubles in the past. This should be a good match-up for us. Really good test to see how good we are on a neutral floor against a likely tournament team. Agree and I think for strength of schedule/RPI purposes playing Texas Tech is far better than USC. The Pac 12 is going to be down this year and I don't think the metrics will be kind to a middle of the pack Pac-12 team. Playing Texas Tech on a neutral court will very likely count as a Quad 1 game (win!) at the end of the year as Texas Tech's RPI will likely be somewhere between 1-49. Maturity of this year's team is going to win us games we would otherwise lose. Palmer could have easily kept his double figure streak alive but elected to give up the ball rather than force the issue when he finally got some minutes in the second half. Tanner has been a pleasant surprise this year and will keep us from wearing down Heiman by year's end. Tonight's game will go to the team with the most consistency. So far we have been able to avoid those long dry spells which have been the only consistent part of recent Husker teams. That is sort of the culture of USC basketball. They often have talent, but simply going through the motions is their M.O. I confess, after our game, I spent the majority of my time watching the KC v Rams football game. But I spot checked the USC v TT basketball game as well. I must say, I came away thinking that we really should not have a problem with either team. Meaning, unless we shoot horribly, we should win tonight's game handily. I know, I know, crap happens; but we truly are a talented team this year. Side note, did anyone notice the big center for USC? Nick Rakocevic. He was a high school teammate of Glynn's. Go back and take a look at his Rivals photo and compare him to today. I know we were hoping we would recruit him, but I don't think we ever did. The two threes he missed were down and out. "Over and over the Bears stormed back to keep the first game of the Hall of Fame Classic close. 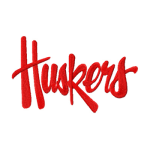 Until consecutive threes from Thomas Allen and Isaac Copeland midway through the second gave Nebraska enough breathing room to survive in a 85-62 win." Mr. Heady must have watched that game from a different perspective than I did. Perhaps I am misreading his intent, but I never felt we "survived" in this game. Whatever. I never felt the game was in jeopardy, we kept the at arms length...until the Roby block and Nana 3. Then the floodgates opened. Maybe since we played a bad first half offensively he felt like we were struggling. The Bears "stormed" back? That's just dumb. That's "analysis" by a guy who either just plain didn't watch the game or watched it with blue-tinted glasses. We went up 6-0 to start the game and the Bears strung 7 points together to take a 7-6 lead. Seven points in a row. That was the longest scoring streak they went on the whole game. The only time you could really claim they came "storming" back would MAYBE be the point where they cut our 12 point lead down to 3 late in the first half. In the second half, we just continued to gradually pull away. I just watched the 1st half of that video. An ad was blocking the score button on the bottom ... and now I'm no longer sure we won. Missouri St will be able to send recruits that highlight package. BTN starting its 'positive' vibes toward NU basketball earlier than usual this year. I'm guessing BTN dude in charge of highlights a Missouri State alum.